Kids are innate environmentalists. They simply love animals and nature. An easy way to get them involved in the three R&apos;s (reduce, reuse, recycle) is when packing lunch. That&apos;s where Kids Konserve comes into the picture. They have the grooviest lunch sacks with everything you need and it&apos;s all reusable. 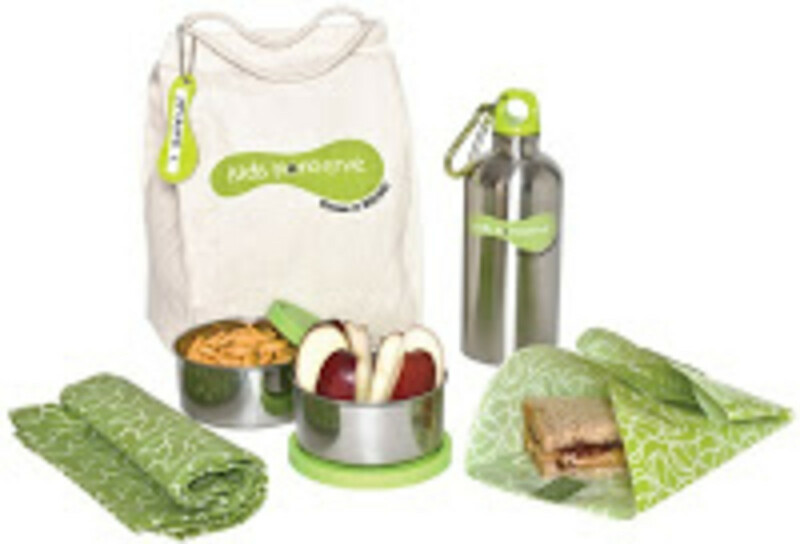 The waste-free lunch kits include a sack, 2 stainless steel food containers, a beverage bottle, food cozy, napkin and name tag. Kids love the wild prints--moms love the excitement these kits bring to the table. ($42) Reduce waste by skipping the ziploc bags and using this colorful kit again and again. And soccer mom alert: They&apos;ve also launched a custom bottle program (great for team fundraisers!). Save 10% on your Kids Konserve order! Use coupon code "momtrends" valid thru May 31, 2009. Win it! One lucky reader is going to win A PARTY PAK - IN 2 BAGS (valued at $35). 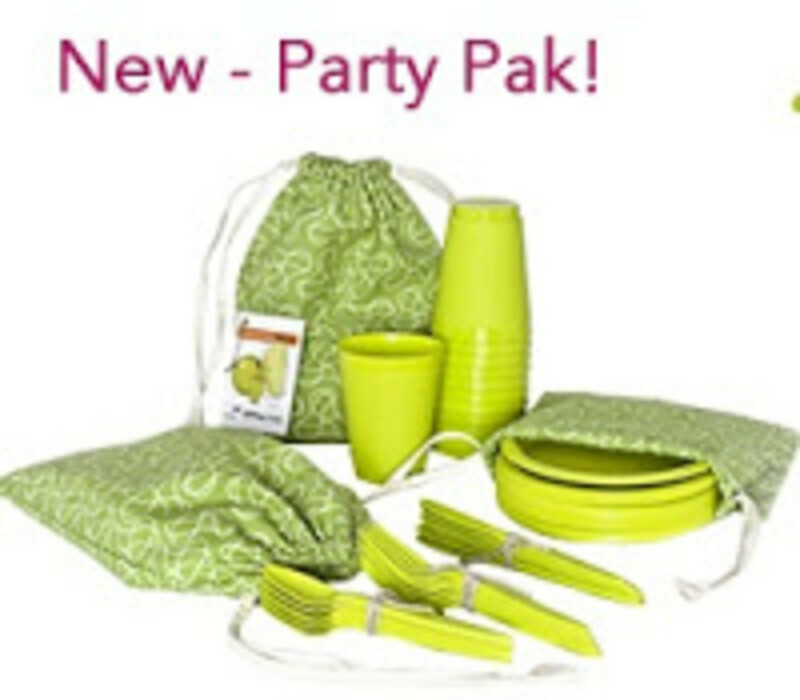 This reusable party pak is ideal for school classrooms, family picnics and birthday parties. The prize includes 12 each: 7" plates, 16 oz. tumblers, and forks, knives & spoons. Materials: 100% recycled plastic yogurt containers. All in 2 cotton drawstring bags. To enter, visit Kids Konserve here and then come back to Momtrends and leave a comment telling me about the party or event where you&apos;d debut this prize.